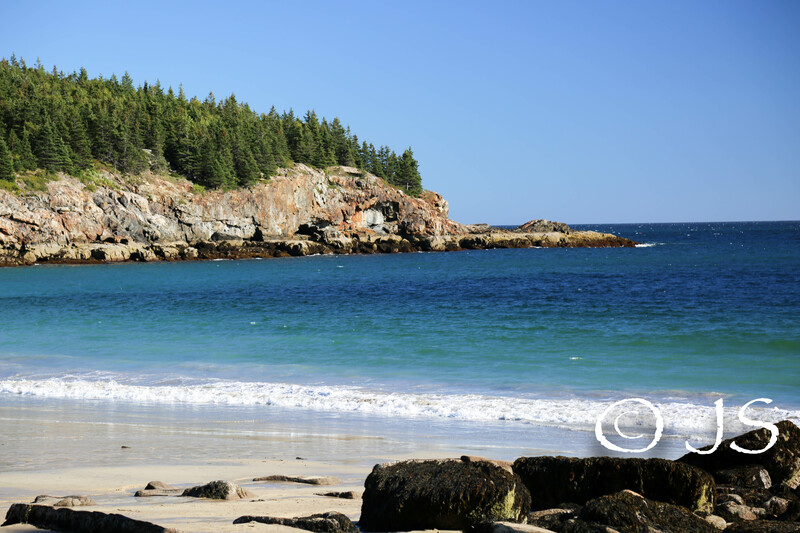 Within an hour of arriving in Bar Harbor, Maine we headed off to Acadia National Park to enjoy the nice sunny day. The park is on a small island in the Atlantic Ocean. Along one side of the roadway are rocky cliffs and the ocean. The other side holds the mountains and forest. We stopped at a couple popular viewpoints—Thunder Hole, where the water crashes into a hole in the rocks making a loud thunder-like noise, and Sand Beach. Since we were driving around the island and it was getting close to dusk, we decided to find a place to watch the sunset. We first went to the Bass Harbor Head Lighthouse. It was really crowded and there wasn’t any place to park our huge truck so we drove to Pretty Marsh, a very small fishing town. 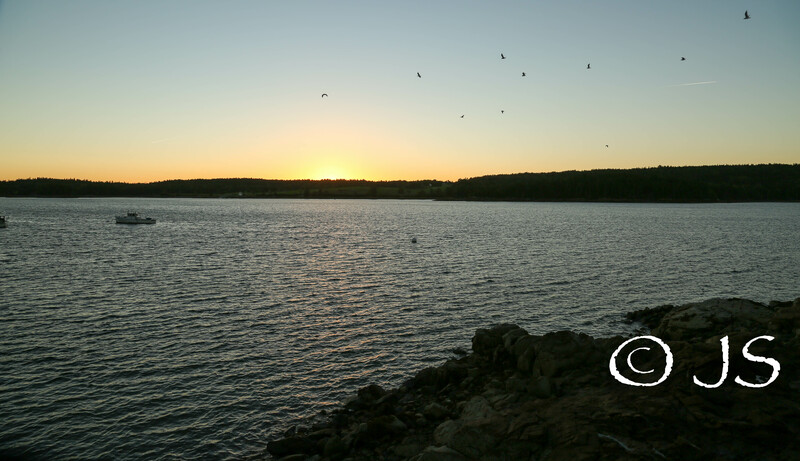 We watched the sunset along the water with the smells of the ocean in the air. After we got home, I went online and saw a post about the supermoon that was happening at that moment. We stepped outside to check it out and there it was! An awesome site to see. 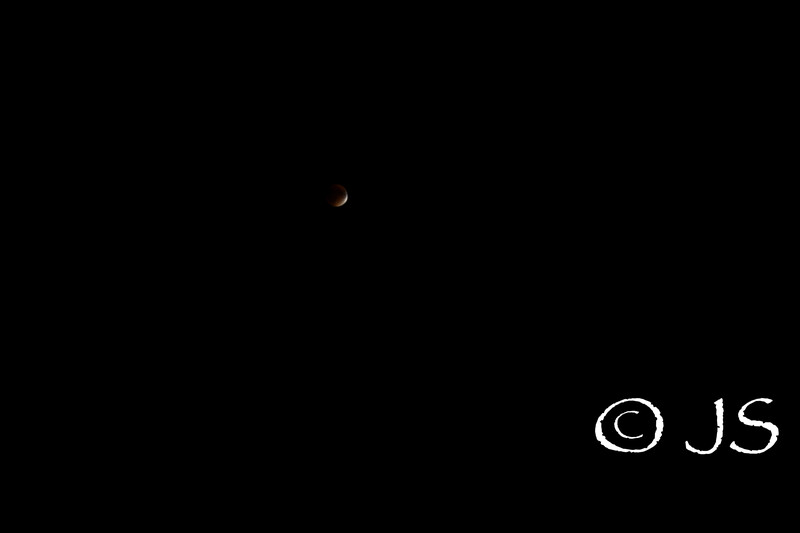 The moon looked huge and seeing it half covered in red and then all red was an experience. I tried to get pictures, but I do not have a zoom lens that would capture the beauty of the moon so this is the best I could do. 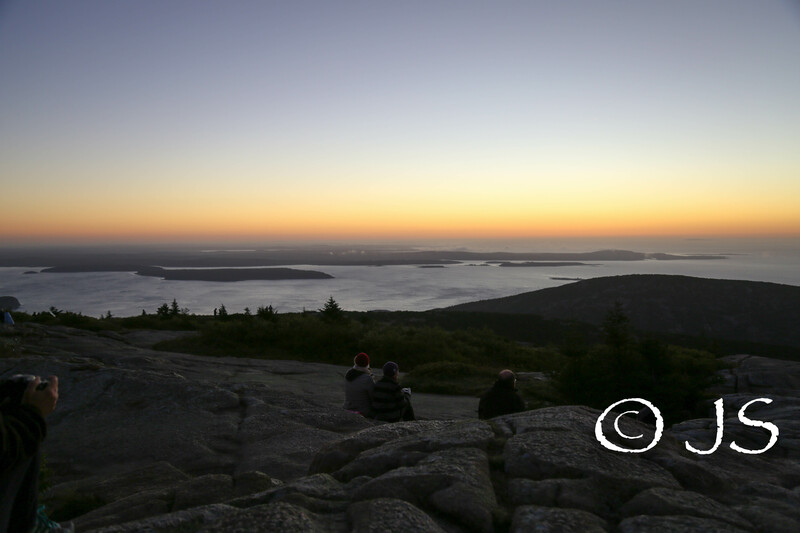 One of the popular activities to do at Acadia is to watch the sunrise from the top of Cadillac Mountain, as in the fall and winter months, it’s the first spot to see the sunrise in the U.S. The next day, we got up early and drove to the mountaintop. It was so dark and quiet, like we were the only people up and about in the world. We were the first ones there. With a flashlight, we walked the open rock trail to see where the best viewing area would be and picked out our spot. We walked back and waited in the truck until thirty minutes before the sunrise. We were no longer the only couple up there as the parking lot was getting full. 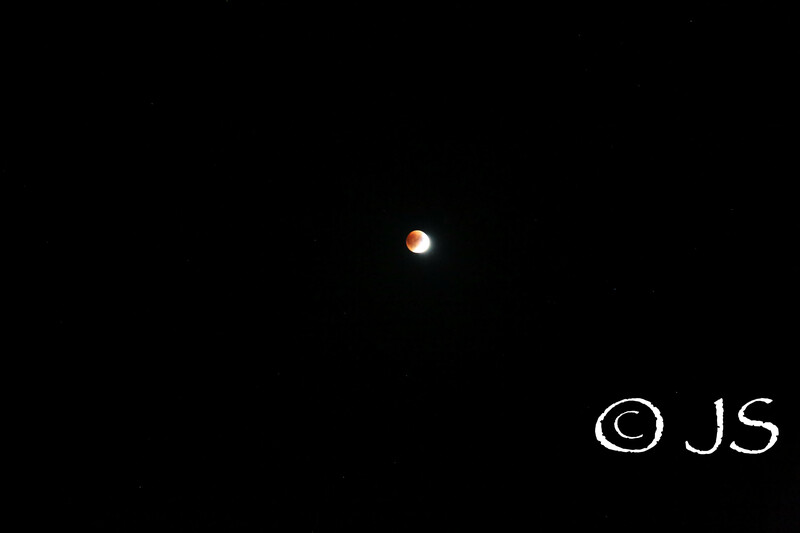 The wind was picking up and even my tripod was shaky! Seeing the sunrise from that point has been on my bucket list for a long time. It was a wonderful site—the wide sea, the small islands, the beautiful colors, and being next to Brad. 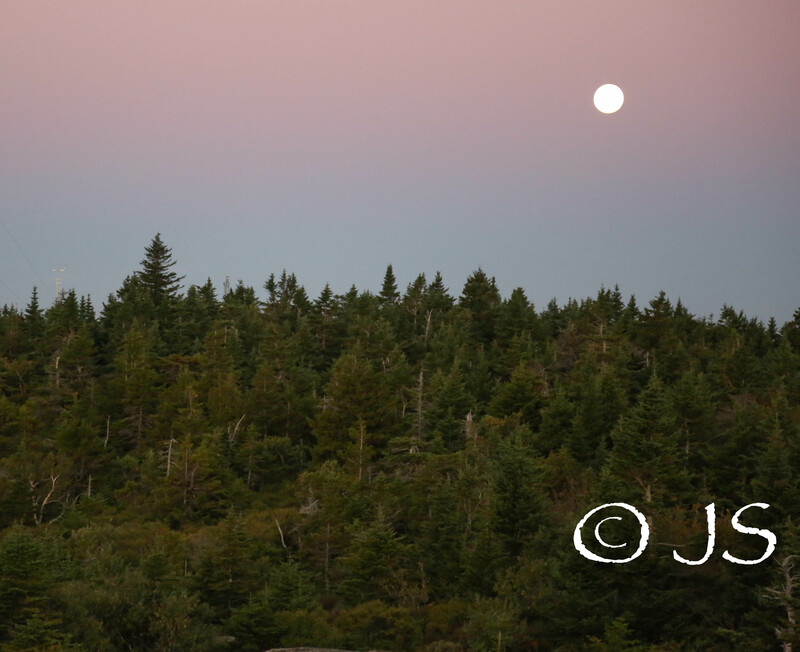 A sunset, a supermoon, and a sunrise all within twelve hours. Rain was in the forecast for a few days and Brad and I haven’t seen “real” rain in a while! In Seattle, the rain is a mist, so gentle you barely see it and you can go out on a walk or run errands with no issues. In Maine, the rain was coming down in buckets causing floods in some areas. We often thought of the hikers on the Appalachian Trail wishing them well and drier weather. We found out that the rain we experienced was from part of a tropical storm! That was a first-time experience and we were lucky to be dry in our home. A trick was to get in our daily 10,000 steps with all the rain. Since we normally take a walk outside in the morning and afternoon, we adjusted our schedule to get steps in enclosed spaces such as Home Depot and the grocery store. 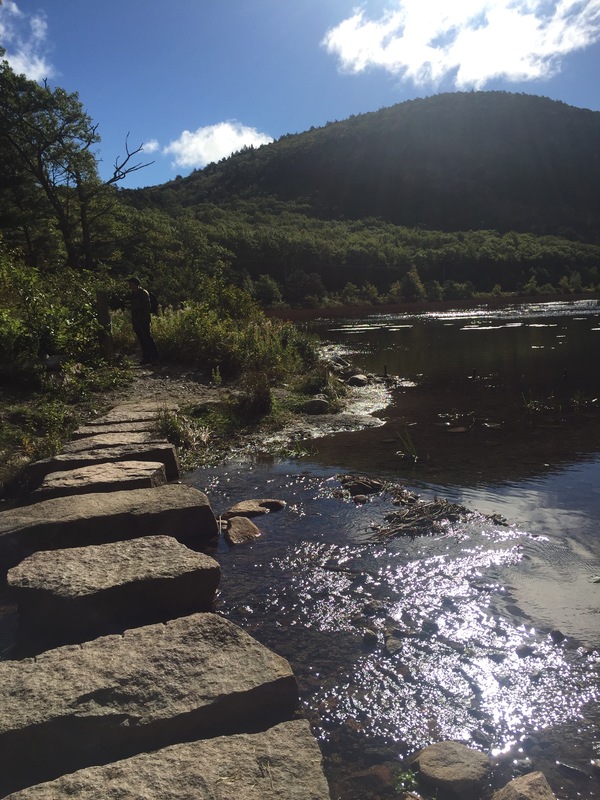 We were able to hike at Acadia on Saturday, as it was the first day since Monday that the sun was seen. Some hiking trails required climbing up ladders, using handrails to climb up the mountain, and scramble. We were not feeling that adventurous so we opted for a trail that included some boulder climbing. The trail started in the forest and quickly went up to climbing over rocks till we reached the summit at Champlain Mountain. Views of the ocean and surrounding land was a great reward for the climb. 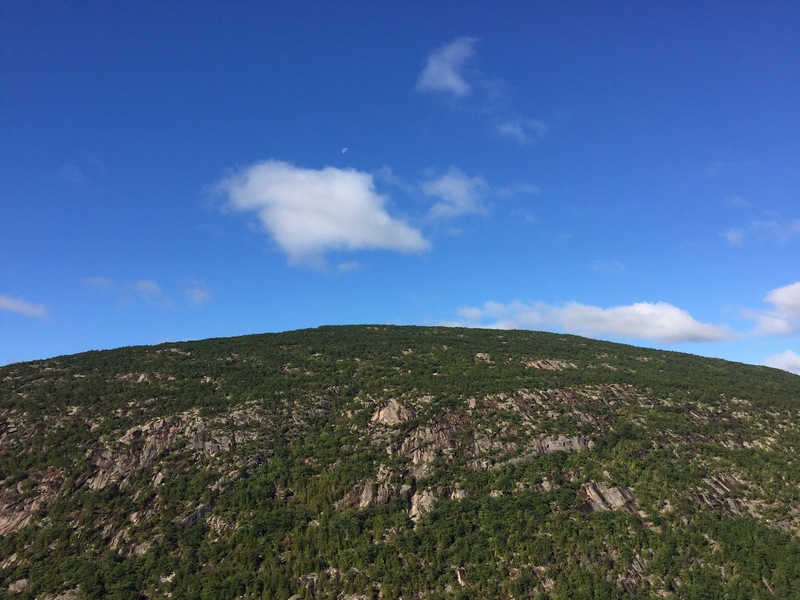 We walked along the top—a mostly flat, rocky surface of the mountain—till we ascended to the next peak, Gorham Mountain. The trail was getting busier and a few times we stopped to give other hikers directions. 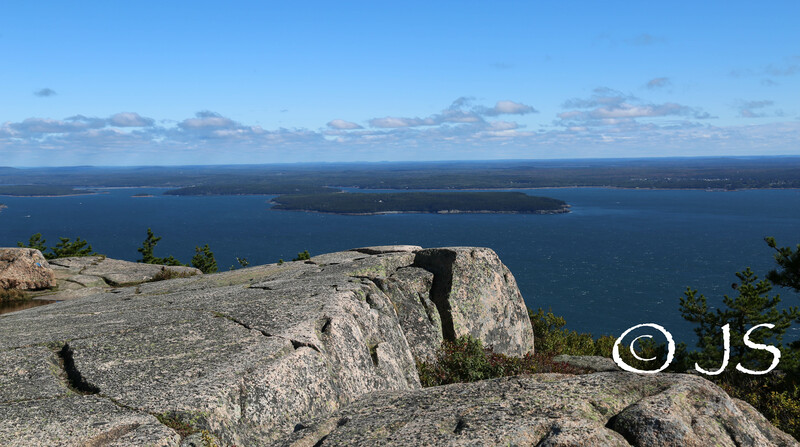 Going to Acadia was definitely worth the trip and I would love to visit the national park again. 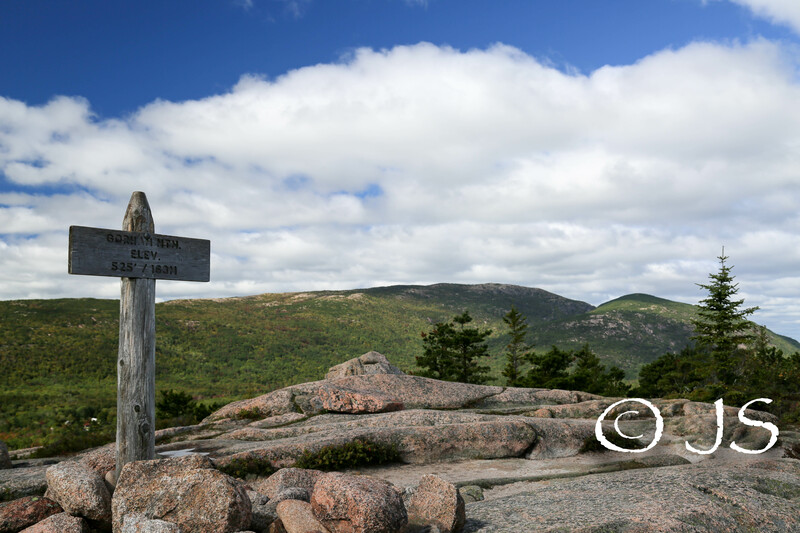 There isn’t a lot to do in the area besides Acadia and since it rained most of the week going back to get in more hiking and seeing another sunrise would be ideal. Our next stop is in Massachusetts as we begin to head down south. We have lots planned: Boston, Salem, Rhode Island, and a lighthouse in Portland, Maine. Hey there! Thought I’d let y’all know we saw y’all on 81 in VA! My sister and her husband are full time RVrs too, and it was cool seeing another RVing couple on the road. Best of luck on your adventure! Thanks for the message! We love hearing from others who have seen us on the road. Best of luck to your sister and husband!